Hello, I’m Ben, Group Design Director and one of the new people Mike mentioned here. I’m @benterrett on Twitter. 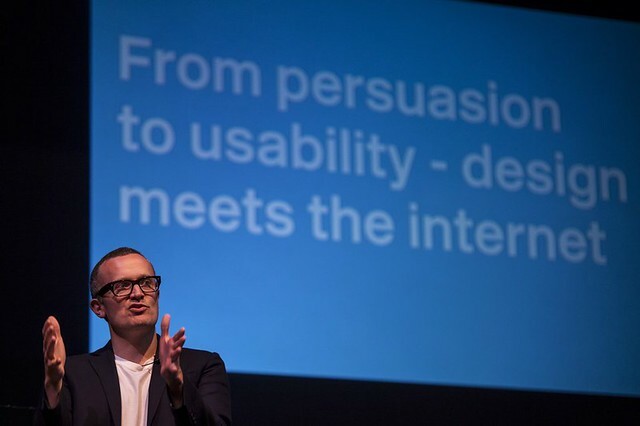 Last week I spoke at Design Manchester. It was a fantastic evening with over 300 people coming along to the Royal Northern College of Music, including some of the Co-op design team. I talked about delivering design projects in large organisations and how openness, agility, trust and putting the users first leads to success. The traditional Creative Director has become a bottleneck and you get much better design work if you focus on users, devolve power down to project teams and provide strong direction. It was a shorter version of the talk I gave at the RSA a few weeks ago which you can watch on YouTube. Design Manchester is a series of events organised by Malcolm Garrett and his team. It’s only been going two years but has already gained a lot of momentum. On Friday night I attended the Big Debate at the Whitworth Museum which included representatives from Manchester Council, the Design Council and the Manchester School of Art. It was great to see so many people engaged with design in a city that has always had a vibrant design scene. Design Manchester is a great addition to the design festivals that are springing up all over the globe. It’s not just a conference. One of the objectives of the festival is to “showcase the rich heritage and future of design in Manchester” as well as to stop design talent leaving the city. I hope we can help with that. Shame that it was a male only panel with a male chair though. I agree! We need to keep talented people up north.